Economy Class Round Trip Chicago to Cancun, Mexico, for 25,749 Merrill+ Points on American Airlines. Merrill+ Points program has a unique airfare redemption structure: 25,000 points for tickets up to $500 in price, tax included, then 1 point per dollar above $500. Redemption sweet spot sits right at $500 worth of air tickets. Under $500, you will be charged for the same 25,000 points. Above $500, you point value decreases from 2 cents per point towards 1 cent per point. 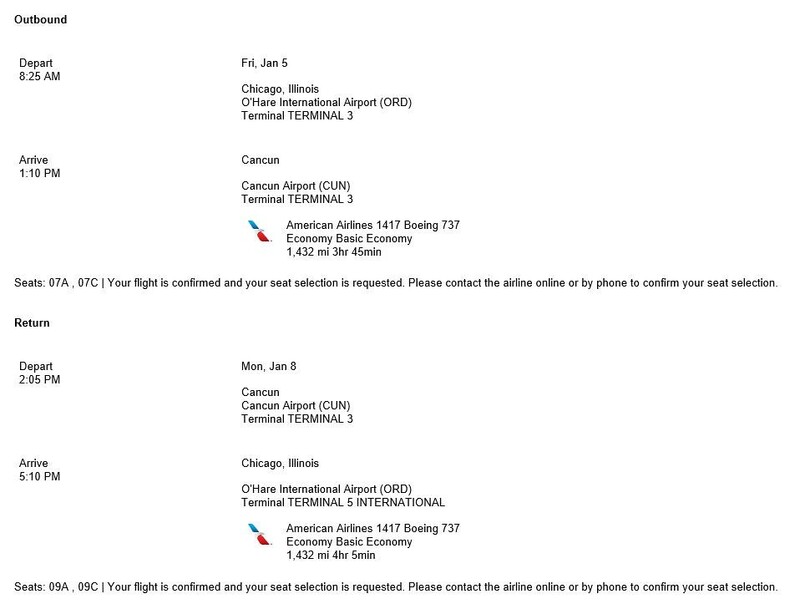 Chicago to Cancun round trip ticket happens to be $507.49 on American Airlines, ideal for redeeming 50,000 bonus Merrill+ Points I earned from signing up Merrill+ Visa card (a no fee card that was discontinued in 2017). Tickets purchased this way are considered revenue tickets, earning American Airlines AAdvantage miles at the normal earning ratio. Even though the ticket was labeled “Basic Economy” and the ticket price matched Basic Economy ticket at aa.com, I was able to select seats at Merrill+ web site, confirmed in itinerary email. Somehow, Merrill+ charged me for the Basic Economy price but ticketed regular economy from American Airlines. 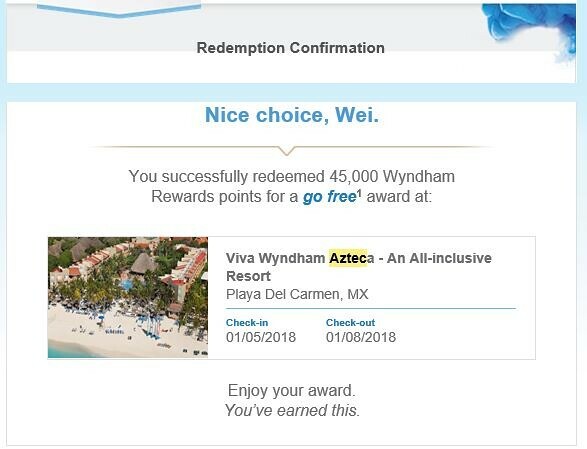 With two of the three air tickets covered by Merrill+ and three night all-inclusive hotel stay at Viva Wyndham Azteca paid for by Wyndham Rewards points, this end-of-winter-break mini vacation has become very affordable.